When the Patriots go toes up against Denver or Green Bay in the postseason, many folks may point to a new D-Day in Boston sports history. The day members of the New England Patriots (including Rob Gronkowski, Shane Vereen, and Jonas Gray) hung out with Justin Bieber in California. 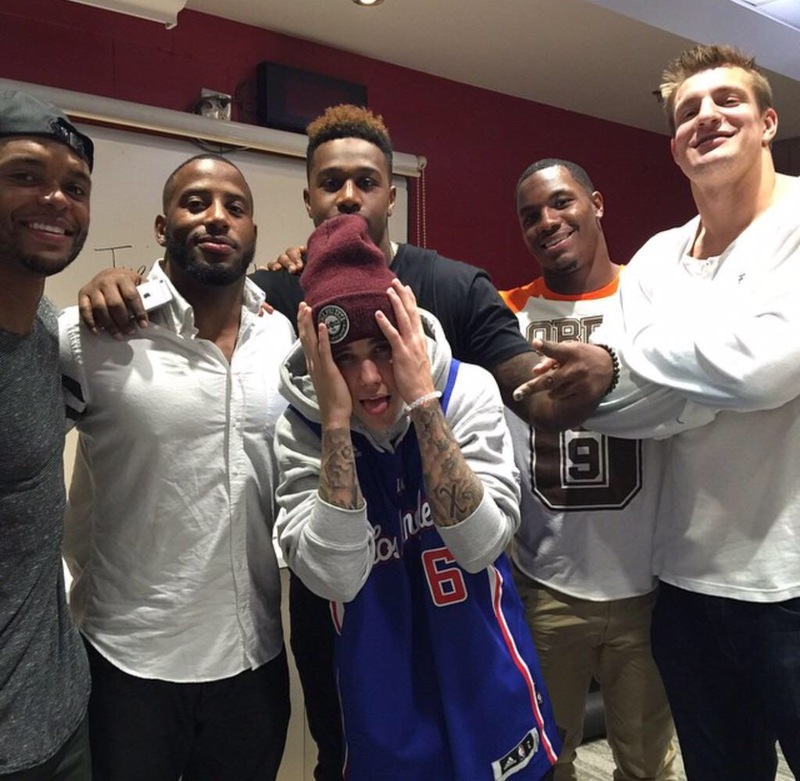 Some of the Pats caught up with Bieber at Monday night’s Clippers game. Of course, New England blew Green Bay to hop a plane to San Diego in anticipation of their upcoming game on Sunday against the San Diego Chargers. If you remember, when we last saw Bieber, he stopped by Steelers bible study – just one night before Pittsburgh’s ill-fated loss to the New York Jets. Welp, if the Patriots don’t deliver on a Vince Lombardi Trophy, the greater New England area will be looking for you Biebs. UPDATE: This photo was originally posted to Shane Vereen’s Instagram page and reposted by the Patriots’ Instagram. It has since been deleted from the team account.